Cosential is a cloud-based CRM designed specifically for AEC (Architecture, Engineering, and Construction) professionals. It enables users to integrate their accounting, marketing, and business development data tools in a single platform, manage their deals and leads, and create customized reports designed in formats applicable to the AEC industry. In this article, we covered user reviews and pricing. Ready to try Cosential? Request for a demo. Users who gave Cosential a positive review commended its robust analytics, integrations, contact management, and pipeline tracking features. They also said that the program’s easy customization functionalities are helpful in streamlining their workflow. Users who gave Cosential a negative review complained about occasional system glitches and complicated program implementation. They also noted that the customer support team takes a while to address issues and complaints. One user who gave Cosential a negative review on Software Advice reported experiencing long waiting times (sometimes, even three months) before issues get resolved by the customer support team. He also complained about the software’s difficult onboarding and implementation process. Cosential offers three paid subscription options: Casual/Read Only ($25/user/month), Sales/Bus Dev ($55/user/month), and Marketing/Admin ($95/user/month). 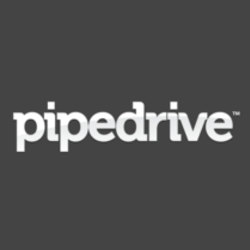 The main difference between the plans is access to premium features such as mobile CRM app, full reporting access, proposal automation, and revenue projection. Ready to try out Cosential? Request for a demo. Proposal Automation: lets users easily publish their construction project proposals directly from the platform. Third Party Integrations: lets users seamlessly integrate other apps they use such as marketing automation, accounting, file management, social media, among others. Does Cosential offer a beta program? Yes. Interested users can sign up for Cosential’s beta program on the website. The beta program includes collaboration with Cosential in order to provide industry-specific innovations to the software. Users who are part of the beta program will be able to test out the new updates and give feedback about performance issues, as well as general recommendations before regular users. Does Cosential provide information resources to help users navigate through the system? Yes. Cosential offers webinars and recommended resources about the AEC industry to users who want to optimize the use of their CRM for their business. Not sure if Cosential is the right fit for you? 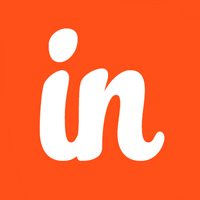 Read our reviews of all top CRM software or check out one of these three Cosential competitors. Very responsive when you call or reach out to the support team. You really feel they have the best interest for your company in mind. The people of Cosential are also pretty fantastic. I have worked with various areas and really enjoy the relationships we’ve created. They get that we are looking for this to be our long-term solution and continue to provide dedicated and personal support. There are bugs that are acknowledged but the time to fix can be long and at times become an issue for our business to be able to fully utilize the capabilities of the system. There are plans to help improve this but it has been an issue for our organization. Support responds immediately but others in the organization can be slow to respond. Enhancements are typically closed out which can be an issue for monitoring and knowing if a recent release solves the issue you were having. The process and time it takes to fix bugs within the system. Some of the tools are flexible enough to customize, however, some are not. I still truly believe Cosential is the right CRM platform for our company and industry, it has been a great addition for our organization. Cosential is like collective “Mind Sharing”, in that it allows all of our users to share the most important data needed for our roles as if we were one mind in sync together. The aim of mind share is to establish a being of one with the best information provided. Nabholz has offices in five states so being able to remain on the same page together is vital. This all relates generally to the development of awareness, and is one of the main objectives of advertising and promotion. When people think of examples of a category, they usually think of a limited number of data inputs. 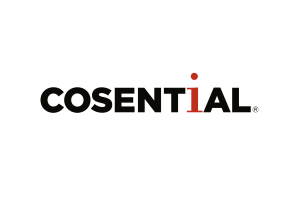 Cosential keeps all of the information we need to market our clients in one place, from clients and contacts, marketing opportunities, personnel and project information, and so much more. The customer service that we receive and the attention to our issues, particularly from Dianna and Christina, is unmatched by other software vendors. The company is committed to continuing to evolve the software to stay on point with industry trends. Because it is web-based, it is sometimes slow, however the fact that it is web-based allows users to access it anywhere at anytime, not just on our network. The support from Cosential cannot be beat. I also like the fact that we can determine if we want to turn on/off modules to custom fit our organization and where we are in the implementation. The relationship with Cosential feels like a partnership and that we are listened to and provided follow-up for our needs. Time between request (issue or bug with system/enhancement suggestion) to the sprint where the improvement may occur. At times you are waiting for the developers or the request sits in the queue between submitting the suggestion and update for quite some time. We have learned the process of a bug or enhancement but at times we wish we could influence more of the speed to updates. The capability to routinely pull data from our accounting software reduces duplication in both content and time. I no longer spend hours “looking for *stuff*” (put politely) during proposal preparation due to the full-featured project and ‘knowledge’ database paired up with the advanced reporting functionality. Tracking touchpoints, opportunities, and customer information are easy with their intuitive CRM, Task, and Opportunities modules. Workflow module could use improvements to streamline notifications and assist with automation. Android mobile application has been greatly improved but can be confusing to navigate at times (as are many mobile solutions). N/A – I performed a few months of research before purchasing this package. Cosential staff have been transparent and extremely helpful since my first inquiry and remain diligent to this day, almost 2 years later.